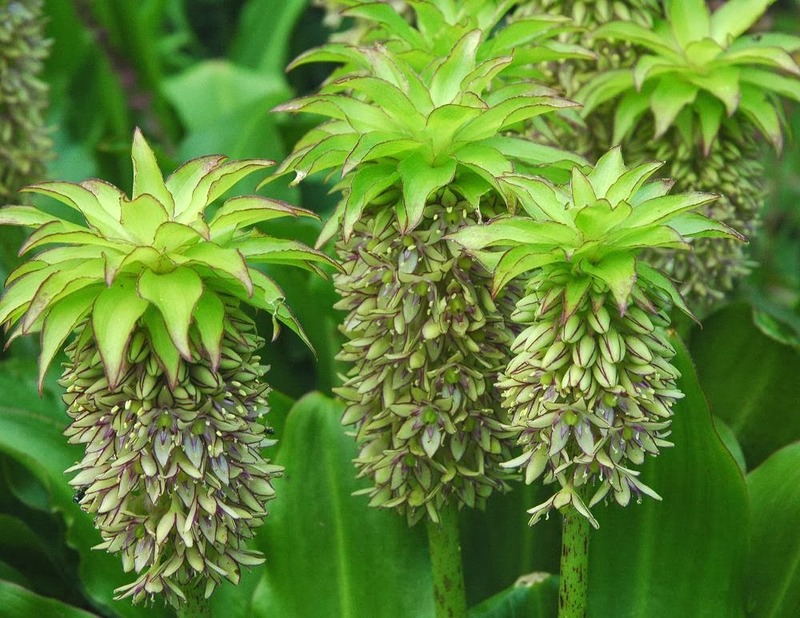 Despite their tropical looks, Eucomis species and cultivars are easy to grow and the same can be said when it comes to propagating them. Although they can be raised from seed (although they are unlikely to grow true to the parent) or from genetically identical bulblets from the parent plant, perhaps the most practical method of propagation is going to be from leaf cuttings. Although this may seem complicated, it is in reality quite straightforward so long as you make sure that you know which end of the leaf should face up and which end should face down. The best time of the year to start taking leaf cuttings will be around the end of June to the beginning of July, when the plant is at its most metabolically active. Before you begin, make sure that you choose a healthy, undamaged and newly-matured leaf that will be taken from a parent plant well-watered from the day before. Using a sharp and sterilised knife, cut through the base of your chosen leaf, making sure not to damage any of the remaining leaves. Lay the leaf down on a flat surface then, using the sterilized knife, cut the leaf into 2 -3 inch long sections. Always ensure that you keep the leaf sections facing in the same direction that they were on the plant. Alternatively, make the cuts into shallow chevrons to point the way for you. Prepare a well-drained potting mix of 3 parts John Innes seed to 1 part perlite and then, depending on how many cuttings you are making, fill up some 5-6 inch diameter terracotta pots with the finished mix. Gently water the compost in, then place the leaf sections in an upright position- bottom face down – into the mix so that now only half of the leaf cutting is showing. With no more than 3-4 cuttings per pot, place them into a cool shady position where they can be left over the summer period. Alternatively, for a better take, place the cuttings into a propagator, or cover with a clear plastic bag. Try to keep the temperature at an average 20°Celsius, and be careful not to overwater. Remove the cover a few times each week - for a few hours each time - to reduce the risk of fungal rots. If you do come across any signs of mould or mildew then spray with a copper based fungicide and improve ventilation. 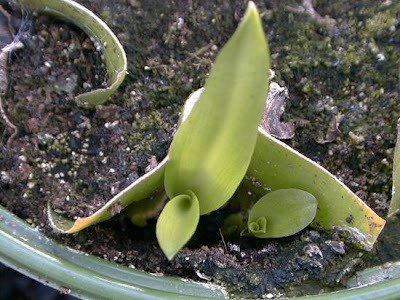 By the autumn, these leaf sections should have rooted, and on the base of each section should be small embryonic bulbs that are genetically identical to the parent plant. These can be removed from the leaf cutting and grown on as a single, separate plants into a 3 inch terracotta pots using a fresh compost mix, one again made from 3 parts John Innes seed to 1 part perlite. Make sure that you only plant one bulb per pot which can now be moved to a sunny position. Water well while the bulbs are in active growth, but reduce watering during the winter months. You may wish to move the young plants into a protected environment, such as frost-free greenhouse, for the first couple of winters. You will find that the young bulblets are fast-growing and will require regular re-potting. They will also mature faster than many other bulb varieties, coming into flower any time in the following two to five years. Once they are of a flowering size they can be treated as mature bulbs.